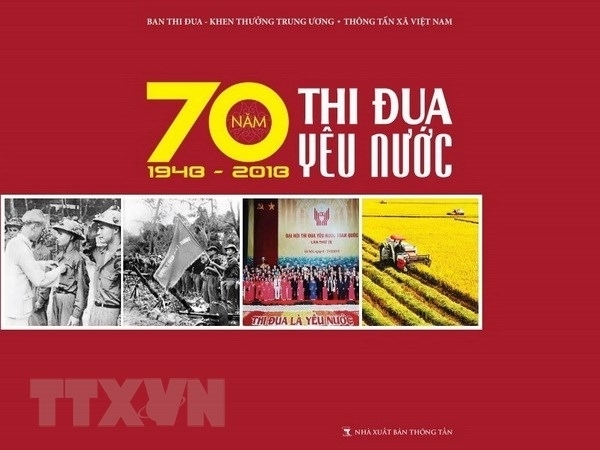 The Vietnam News Agency (VNA) has published a book titled ‘70 years of patriotic emulation movements’, as part of activities to celebrate the 70th anniversary of President Ho Chi Minh’s call for patriotic work emulation on June 11, 1948. The book is divided into five main parts, with 300 images selected from various sources along with a number of documents and articles reflecting the patriotic emulation movement from the first National Patriotic Emulation Congress (May 1952) to the ninth National Patriotic Emulation Congress (December 2015). Seven decades ago, in the spring of 1948, the country was struggling as it waged the resistance war against the French. To encourage the nation to contribute to the war, President Ho Chi Minh made an appeal for patriotic work emulation on June 11, 1948. Opening the appeal he wrote: “The purpose of patriotic work emulation is to eliminate poverty and hunger and illiteracy and foreign aggressors. It means our entire people have enough rice to eat and clothing to wear. The entire population will know how to read and to write. The soldiers will have enough food and weapons to defeat the foreign aggressors. These are aimed to unite the entire nation. Thus we will have an independent nation, which champions civil rights and the happy welfare of the people."